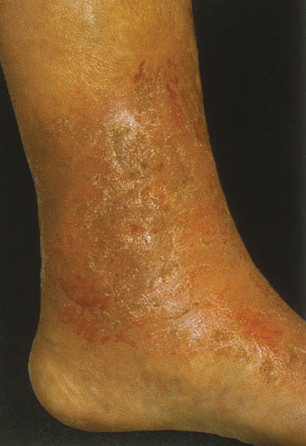 Venous Disease, also known as Chronic Venous Disease (CVD), is a common cause of leg pain, swelling, brownish discoloration, eczema or leg ulcers, and is often, but not always, associated with varicose veins. PAD or Peripheral Artery Disease is usually caused by arteriosclerosis (so-called “hardening of the arteries”) causing blockage of the arteries which supply the periphery with blood. Veins return blood back to the heart from the legs. Venous disease occurs when there is a blockage of the veins, especially the pelvic veins, or the valves of the veins do not function properly. Vein valves allow the blood to flow against gravity and prevent backflow of blood into the legs and feet. When the valves are damaged, backflow may occur and is called venous reflux. CVD may also occur after having had a Deep Venous Thrombosis (DVT), which has dissolved poorly and caused residual blockage and damaged the vein valves. Vein problems are among the most common chronic conditions in North America, more common than PAD. 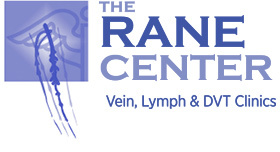 More than 80 million Americans suffer from some form of venous disorder. Signs of CVD include: varicose veins, leg swelling, eczema, skin ulcers around the ankle, hyperpigmentation (darkening of skin) and aching, tiredness, restless legs or throbbing of the legs. Generally, uncomplicated CVD does not pose risk to life or limb but may affect ability to work and carry out every day activities with ease (quality of life). Complications such as onset of blood clots may pose serious health risks however.